Alright, bookworms! It’s time for another guess-the-book challenge. We had so much fun last year with the first challenge that we decided to do it again. Can you guess the title and/or author of these twenty books, just from the first two lines? The rules are the same as last time; no prologues and we started with chapter 1, page 1. If the writing was so sparse that two lines gave zero clues, we used the first three lines. All of the books are well-known, no cheating by using obscure work. And of course, we went for an eclectic mix of genres. 1. A few miles south of Soledad, the Salinas River drops in close to the hillside bank and runs deep and green. The water is warm too, for it has slipped twinkling over the yellow sands in the sunlight before reaching the narrow pool. 2. The boy with fair hair lowered himself down the last few feet of rock and began to pick his way toward the lagoon. Though he had taken off his school sweater and trailed it now from one hand, his grey shirt stuck to him and his hair was plastered to his forehead. 3. News item from the Westover (Me.) weekly Enterprise, August 19, 1966: RAIN OF STONES REPORTED. It was reliably reported by several persons that a rain of stones fell from a clear blue sky on Carline Street in the tiny town of Chamberlain on August 17th. 4. It is my first morning of high school. I have seven new notebooks, a skirt I hate, and a stomachache. 5. The “Red Death” had long devastated the country. No pestilence had ever been so fatal, or so hideous. Blood was its Avatar and its seal –the redness and the horror of blood. 6. It is a truth universally acknowledged, that a single man in possession of a good fortune, must be in want of a wife. However little known the feelings or views of such a man may be on his first entering a neighbourhood, this truth is so well fixed in the minds of the surrounding families, that he is considered the rightful property of some one or other of their daughters. 7. Harry Potter was a highly unusual boy in many ways. For one thing, he hated the summer holidays more than any other time of year. 8. Mrs. Dalloway said she would buy the flowers herself. For Lucy had her work cut out for her. The doors would be taken off their hinges; Rumpelmayer’s men were coming. 9. Once on a dark winter’s day, when the yellow fog hung so thick and heavy in the streets of London that the lamps were lighted and the shop windows blazed with gas as they do at night, an odd-looking little girl sat in a cab with her father and was driven rather slowly through the big thoroughfares. She sat with her feet tucked under her, and leaned against her father, who held her in his arm, as she stared out of the window at the passing people with a queer old-fashioned thoughtfulness in her big eyes. 10. Once when I was six years old I saw a magnificent picture in a book, called True Stories from Nature, about the primeval forest. It was a picture of a boa constrictor in the act of swallowing an animal. 11. To Mrs. Saville, England. St. Petersburgh, Dec. 11th, 17—. You will rejoice to hear that no disaster has accompanied the commencement of an enterprise which you have regarded with such evil forebodings. I arrived here yesterday, and my first task is to assure my dear sister of my welfare and increasing confidence in the success of my undertaking. 12. It was almost December, and Jonas was beginning to be frightened. No. Wrong word, Jonas thought. Frightened meant that deep, sickening feeling of something terrible about to happen. 13. 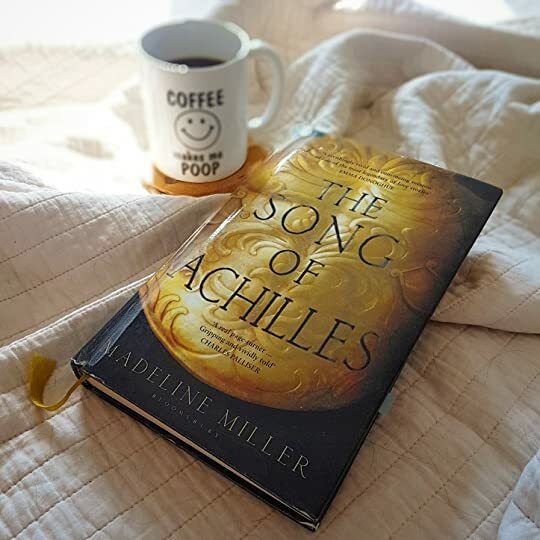 Sing, O goddess, the anger of Achilles son of Peleus, that brought countless ills upon the Achaeans. Many a brave soul did it send hurrying down to Hades, and many a hero did it yield a prey to dogs and vultures, for so were the counsels of Jove fulfilled from the day on which the son of Atreus, king of men, and great Achilles, first fell out with one another. 14. It was a pleasure to burn. It was a special pleasure to see things get eaten, to see things blackened and changed. 15. The morning had dawned clear and cold, with a crispness that hinted at the end of summer. They set forth at daybreak to see a man beheaded, twenty in all, and Bran rode among them, nervous with excitement. 16. When he was nearly thirteen, my brother Jem got his arm badly broken at the elbow. When it healed, and Jem’s fears of never being able to play football were assuaged, he was seldom self-conscious about his injury. 17. In a hole in the ground there lived a hobbit. Not a nasty, dirty, wet hole, filled with the ends of worms and an oozy smell, nor yet a dry, bare, sandy hole with nothing in it to sit down on or to eat: it was a hobbit-hole, and that means comfort. 18. No live organism can continue for long to exist sanely under conditions of absolute reality; even larks and katydids are supposed, by some, to dream. Hill House, not sane, stood by itself against its hills, holding darkness within; it had stood for eighty years and might stand for eighty more. 19. Here is Edward Bear, coming downstairs now, bump, bump, bump, on the back of his head, behind Christopher Robin. It is, as far as he knows, the only way of coming downstairs, but sometimes he feels that there really is another way, if only he could stop bumping for a moment and think of it. 20. Now, fair Hippolyta, our nuptial hour draws on apace. Four happy days bring in another moon. But, O, methinks how slow this old moon wanes! I didn’t expect me to fare this bad. I don’t even wanna share my score. But it was fun, great post. Glad you had fun anyway! I also did fairly badly. 6 and 7 were the easiest for me. With such a large mix of genres, it’s definitely a difficult challenge! Maybe I should start making them genre specific? Hmmm…..